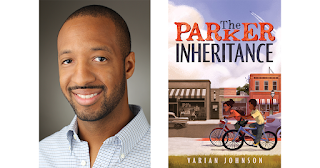 We’re excited to have author Varian Johnson (The Parker Inheritance) guest blogging today. We’ll be hosting Mr. Johnson in our Austin Fiber Space on October 20th, and live streaming the event to Fiber Spaces around the country. You can find more information about those events at the links at the bottom of this post. Google Fiber believes in the power of books to connect us to new ideas and places, and we’re honored to help the next generation of readers find new ways to dive into books. 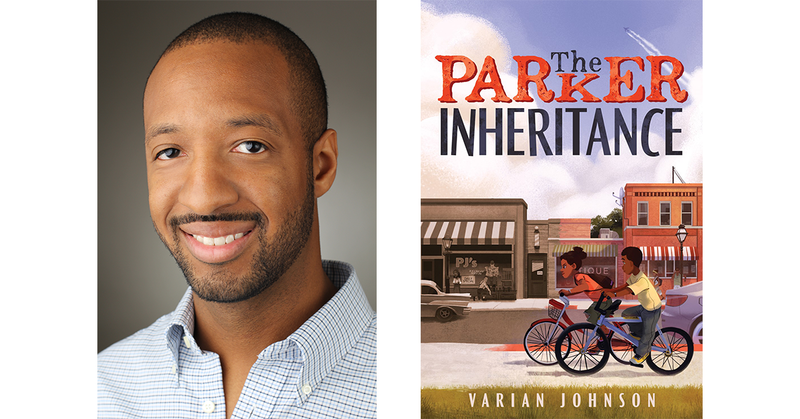 I’m author Varian Johnson. When I first began writing The Parker Inheritance, I thought I was writing a simple, fun puzzle mystery—a novel where a reader could follow along and solve the mystery along with the characters in the book. I am a huge fan of The Westing Game, the award-winning masterpiece by Ellen Raskin, and I especially loved how Raskin put all the clues into the book—right there near the beginning—so I could get in on the action and use my amateur sleuthing skills alongside Turtle, Theo, Chris, Doug and the other characters. However, as I re-read the novel, I realized that The Westing Game was so much more than a simple puzzle mystery. The book was filled with dynamic characters who grew and changed—characters trying to figure out who they were and who they wanted to be. The Westing Game was more than a simple puzzle mystery. Could my book carry that same weight? That’s when I went back to another novel idea that had been sitting on my hard drive for a while. It was a multi-generational story about a black family and how they were shaped over time—from the 1950s to today. It explored the impacts of racism and how people saw African Americans through an unfair and biased lens. It also explored how people of color in this country were often forced to give up or hide their true selves in order to be successful, safe, and free. At first glance, the two novel ideas didn’t fit together at all. But similar to a real puzzle, as I began to rotate, shift, and flip the different pieces of each storyline, a new, better image took shape. I was creating a mystery that was fun and exciting, while also creating a drama that asked us to explore this country’s legacy of institutional racism and its effect on young, black people. The writing took a lot longer than I’d originally planned, but once all the pieces fell into place, I had the story I was looking for. I’m so proud of The Parker Inheritance—how it encourages us to think and ask questions. But I’m also just as proud of how fun it is—how readers are allowed to lose themselves in mystery. I hope you check out the novel for yourself—whether for the drama or the mystery. And if I’m lucky—maybe you’ll end up liking it for both. Posted by Varian Johnson, Author, The Parker Inheritance. This entry was posted in Google Fiber on October 17, 2018 by Google Fiber.